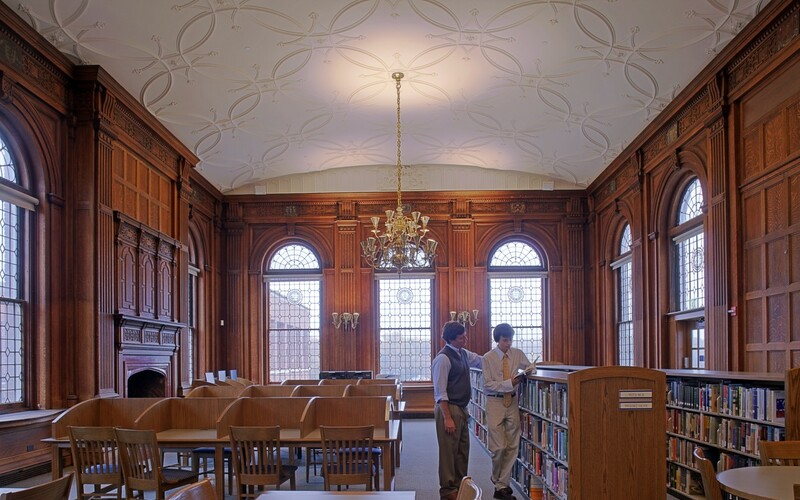 Stately Carey Hall is the oldest building on the campus of this prestigious boys’ preparatory school. 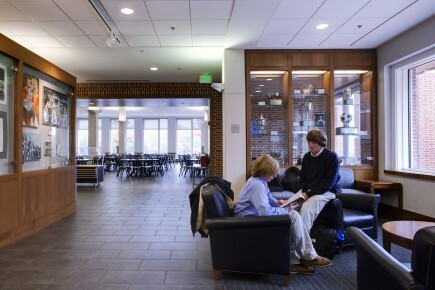 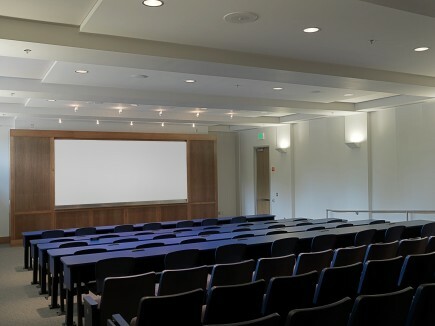 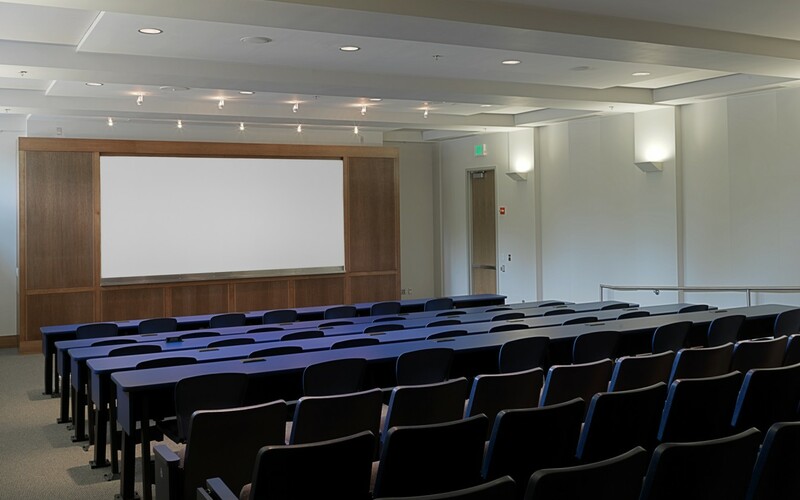 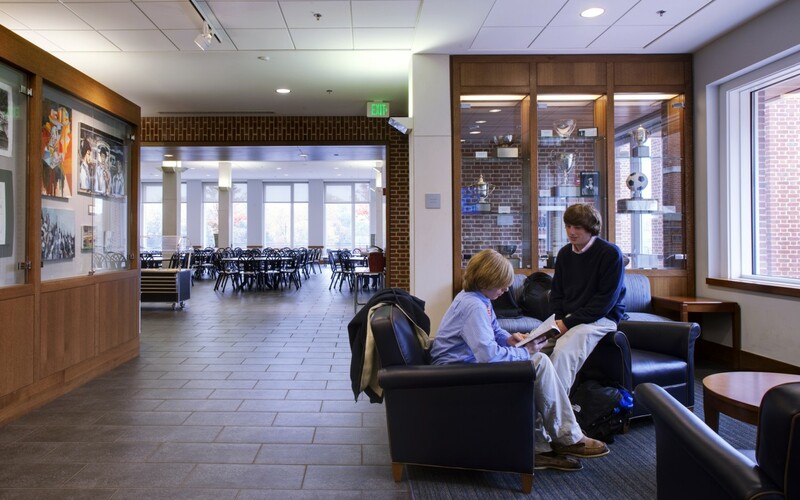 Working closely with the planning committee, various user groups, and faculty, Ziger|Snead developed significant changes to the interior of the 1920’s structure as well as a major addition to better accommodate modern educational needs. 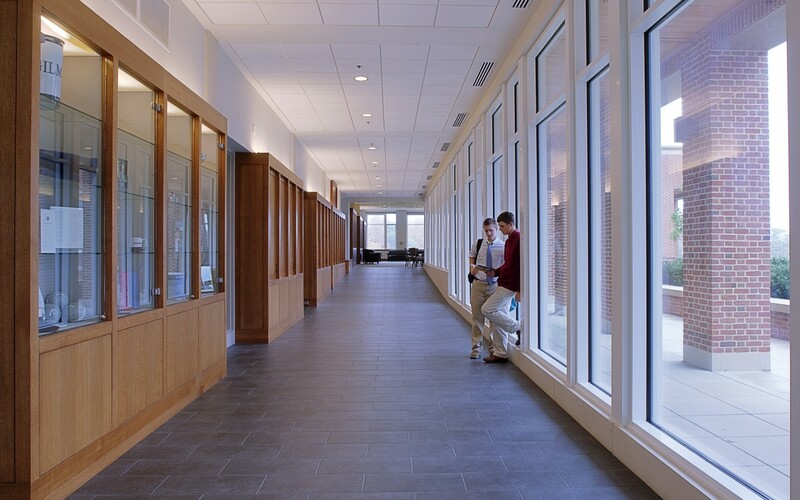 Challenged by existing double- loaded corridors and small classrooms, the architects reorganized the plans, providing for more flexible and technology-filled spaces to meet the demands of 21st century learning. 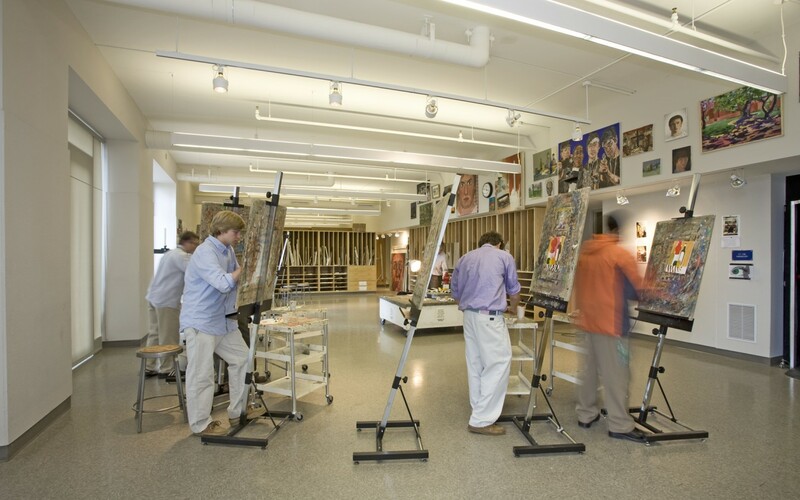 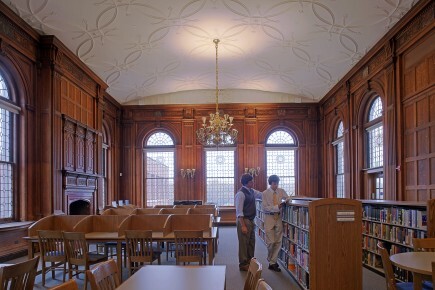 Enlarged and substantially reconfigured classrooms, offices, common spaces, library, art studios and gallery, and outdoor spaces were all completely updated, while respecting the building’s historic character. 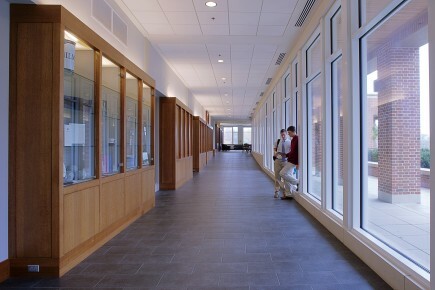 The addition includes classrooms and offices, school store, a large cafeteria and kitchen, lecture hall, student gallery, woodshop, and health suite. 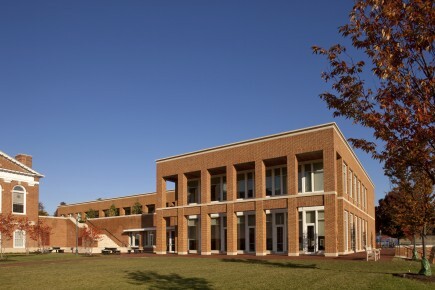 It respectfully defers to the stately Carey Hall yet almost doubles the size of the facility. 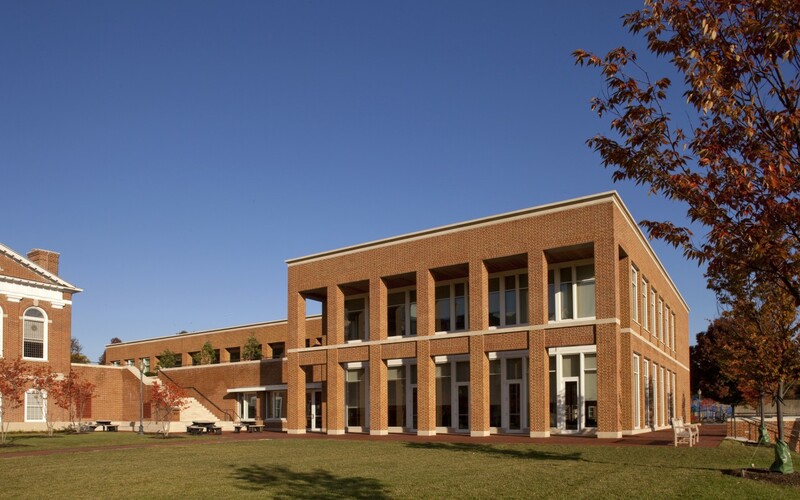 The addition is a a modern design that draws from the materials and proportions of the original building yet expresses itself with spacious interior and exterior public spaces to encourage interaction. 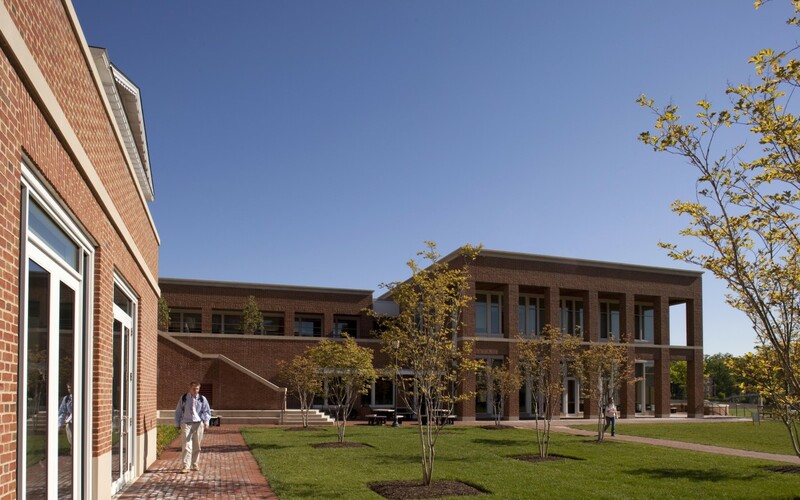 The use of abundant natural light throughout, the provision of operable windows, and the construction of green roofs over the entire addition, were among many sustainable features designed into the project. 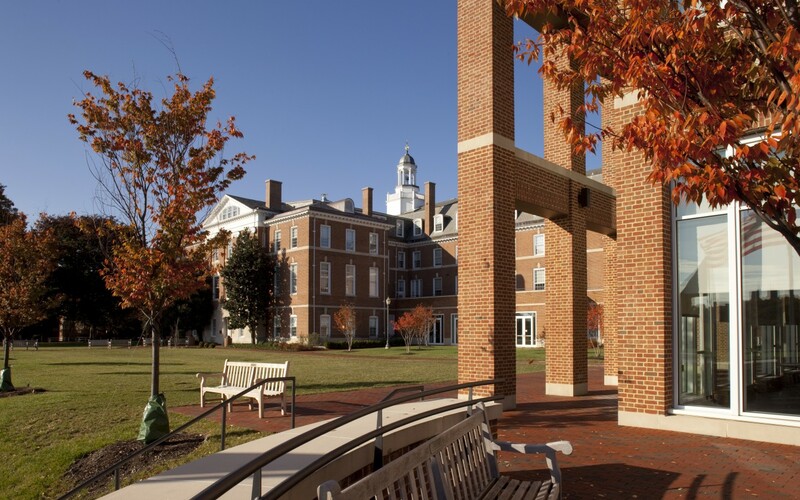 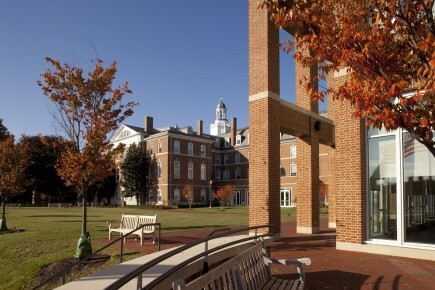 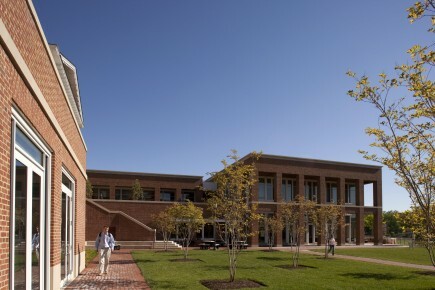 The addition defines the northern edge of the school’s historic east terrace, articulating a new quadrangle for the Upper School while maintaining a scale that complements and defers to historic Carey Hall.